The problem is not that we have negative thoughts; it’s getting hooked by them. When we allow this to happen, we are immediately hijacked from what we are doing in the present moment. One minute we’re talking with a loved one and the next we are miles away reliving a negative experience from our past. All courtesy of these hijacking thoughts. I know all too well how much anxiety and pain these thoughts cause. So I understand the importance of getting out from under their spell. So what do we do about them? Some self-helpers will try to smother them with affirmations. Others will argue with them or try to disprove them. Still others will roll up their sleeves and get in the trenches to fight them. Research shows that these techniques produce a rebound effect that only intensifies these thoughts later. Then we find ourselves, one again, in the emotional dumpster. At some point, we will say, “They’re beating the hell out of me.” And in that moment, we have struck upon truth! That truth is that these thoughts are like a playground bully, separate from who we are. The key word here is SEPARATE. We are not our thoughts. Once that ray of light has entered our minds, we are ready for radical approach that allows us to be free from these tormentors and live a richer, fuller, more meaningful life. Drumroll…This approach is called Acceptance and Commitment Therapy (ACT). And it has helped me as well as my clients tremendously. Another tidbit of good news is you can do this with or without a therapist or coach. The biggest concept that ACT deals with is fusion. That’s what I have been talking about in this post. It’s when we get hooked by a negative thought. In ACT language, this is called fusion. All of us get pulled around by our mouths from time to time with thoughts that hook us. What I want to teach you is how to get unhooked—or defused. The way that we do this is to change our relationship to our thoughts so we’re not controlled by them. Imagine that out in front of you are all the people you love, all the things you cherish, all your challenges, and all the tasks that you have to do. Bring your hands up until they cover your eyes and mask your vision. Keep your eyes open. Look around and notice the things that you’re missing out on because your hands are over your eyes. Notice how difficult it is to focus on, connect with, and engage with these things in front of you. Notice how difficult it is to take action—to do the things that make your life worthwhile. Now, lower your hands, and put them by your sides. See how much easier it is to focus, to connect, to act. Realize that our thoughts and feelings—our hands—still exist. They have useful information to tell you now that they’re just resting beside you rather than blocking you from your life in the present moment. Through this exercise, you have created a new relationship with your thoughts: it is the subject/object relationship in which you are the subject and your thought is the object. As subject, you have become the observer self because you are watching your thoughts as though they are characters interacting on a stage. It’s important to note that we are not avoiding our thoughts or trying to get rid of them—we are distancing ourselves from them so they don’t prevent us from engaging with what we truly value in our lives. Say the thought in a funny voice over and over again. Say it with a foreign accent. Sing the thought to the tune of one of your favorite songs. Project the thought onto a mental screen and imagine a karaoke ball bouncing along the words. Project the thought onto a mental screen and put it in some crazy fonts. One of the best techniques for defusion it to imagine yourself sitting above a river and placing the negative thought on a leaf. Just watch it move along the river. Don’t talk to it. Just silently let it float by. Or put the thought on a cloud and watch it drift away. It’s my hope that you experience a new relationship with your thoughts. It may be that as you defuse from a thought that you can now also see the positive in a former negative memory that keeps generating the thought. As you practice defusion, you will find that you become more and more present to your life. And you’ll find that you are increasingly empowered by what’s important in your life rather than being disempowered by your dark thoughts and feelings. Chronic pain is very discouraging. Ten months ago I had a spinal fusion because of a back injury I suffered. I had been in pain for two years prior to it. And now, as I’m supposed to feel the relief of full recovery, I still have back pain and nerve pain in my feet. Like some of you, chronic pain has robbed me of my zest for life. And it has left me feeling very discouraged—even hopeless. But at 57-years-old, I am not willing to spend the next 20 years marooned by medications, living in an opioid stupor. It’s time to get out of the preoccupation with pain and to get into my life. Living an inspired life means making inspiring choices. One of the most inspiring of those choices was to embrace the power of Acceptance and Commitment Therapy (ACT). At the core of ACT pain therapy is an essential truth: elimination of chronic pain is not possible for some of us. But it doesn’t have to sideline us. In their Internet workbook called Life with Chronic Pain: An Acceptance-based Approach, Kevin E. Vowles, Ph.D. and John T. Sorrell, Ph.D., apply the core processes of ACT to pain. They acknowledge that pain, thoughts and mood, and basic functioning interact in a way that contributes to increasing problems and decreasing quality of life. As so many of us who suffer have come to realize, treatments often fail to provide us with long-term decreases in pain. Trying to change our thoughts and moods also becomes problematic. “If you wake up in a sad mood, does telling yourself, ‘Don’t be sad anymore.’ lead to any change in your mood?” ask Vowles and Sorrell, knowing, too, that trying not to think about your pain only increases its hold over you. Functioning, though, may be the area where your efforts will have the most impact, according to Vowles and Sorrell. It’s about deciding what is vitally important to you and pursing it despite pain. I have found that if I remain on the sidelines trying to avoid anything that may incite my pain, that my pain still exists. On the other hand, when I am actively engaged in my life, I often forget about my pain. Consider this: when you are laughing with loved ones, what happens to your pain? Exactly! It disappears. Remember, we give power to whatever we give attention to. The “A” in ACT is about acceptance. It’s about becoming comfortable with discomfort. “It is not the same as defeat, helplessness, quitting, or resigning to a life of unhappiness, struggle, or misery,” Vowles and Sorrell say. 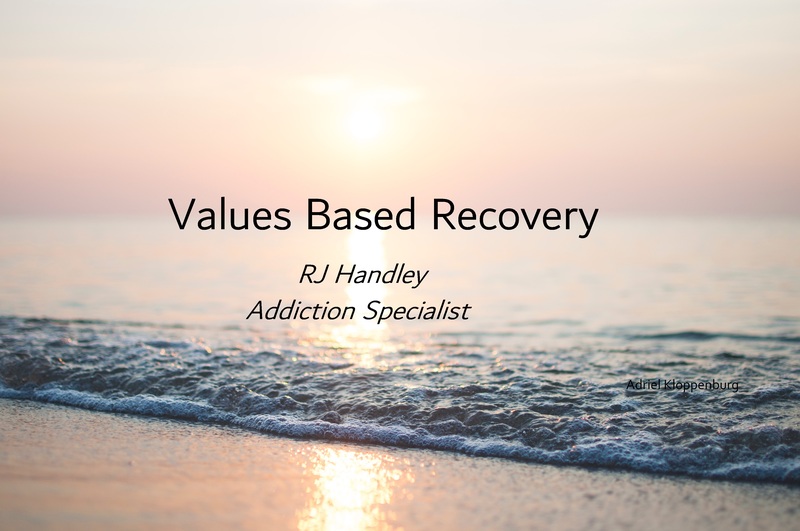 Acceptance of chronic pain, then, is living a life driven by the things you value despite a physical issue that contributes to pain and suffering. ACT is about accepting the fact that we all face difficult challenges that we cannot control, alter, or eliminate. It’s not about “throwing in the towel.” We, instead, commit to a life in which we are engaged in the present moment with things we value in the here and now. We live a life, not in the absence of pain, but knowing that there is something more important than pain. I leave you with words that you can say that will help you keep your mind centered on acceptance and commitment. It is called the Serenity Prayer: Grant me the serenity to accept the things I cannot change, the courage to change the things I can, and the wisdom to know the difference.